New York, September 5, 2016 – Jazz Choreography Enterprises, Inc. presents New York Jazz Choreography Project for its semiannual dance concert devoted exclusively to jazz. JCE features works from emerging to established choreographers. Since 2007, Artistic Directors Marian Hyun and Merete Muenter have presented more than 95 choreographers and 671 dancers from the US, Japan, South Africa, and Germany. The performances will be presented at The Salvatore Capezio Theater at Peridance. The theater is located at 126 East 13th Street. Saturday, October 22, at 8 p.m.
$30 General and $20 for children and students with valid high school or college ID. MERETE MUENTER is a founder and Co-Artistic Director of Jazz Choreography Enterprises. Choreography credits: Off-Broadway –THE GOLDEN BRIDE, THE MEGILE OF ITZIK MANGER and LIES MY FATHER TOLD ME (The National Yiddish Theatre – Folksbiene), EDDIE AND THE PALACEADES (Midtown International Theatre Festival “MITF”), THE KING OF SECOND AVENUE (New Repertory Theatre, Watertown, MA), JESUS CHRIST SUPERSTAR (Woodstock Playhouse, Woodstock, NY), SHERLOCK HOLMES – THE EARLY YEARS (New York Musical Theatre Festival). Director / Choreographer credits: CHICAGO, THE WHO’S TOMMY and CHITTY CHITTY BANG BANG (Woodstock Playhouse), THEY WALK AMONG US (MITF – Award for Best Choreography). Assistant Director credits: WORLD AIDS DAY GALA (Capetown, South Africa), JESUS CHRIST SUPERSTAR (European Tour – Director, Baayork Lee). Founder and Co-Artistic Director of Jazz Choreography Enterprises, Inc. Originally from Buffalo, NY. Bachelor of Arts, SUNY Geneseo. MARIAN HYUN has studied jazz and ballet in New York with Luigi, Bob Audy, Ed Kresley, Shirley Bassat, Julia Dubno, and wonderful teachers in Paris, France, Susan Sparks and Frédéric Lazzarelli. A graduate of Sarah Lawrence College, she was a freelance writer and a writing instructor at the New School before enrolling in the Dance Education Lab (DEL) at the 92nd Street Y. Since then she has taught dance to people of all ages, from two-year-old pre-ballerinas to senior citizen jazz buffs in various New York studios and community centers, including the 92nd Street Y. She has choreographed for the New York Jazz Choreography Project, Choreographer’s Canvas, the Fridays at Noon Marathon at 92nd Street Y, and the Comedyt in Dance Festival at Triskelion Arts. In May 2007 at New Dance Group, Marian produced the first prerformance of the New York Jazz Choreography Project, a showcase devoted to jazz dance. It sold out. 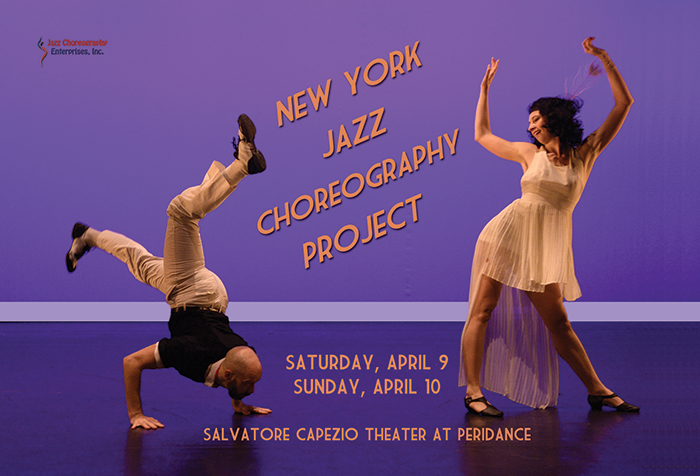 Subsequent performances of the Jazz Project have been produced semiannually by Jazz Choreography Enterprises, Inc., a nonprofit, 501(c)(3) organization established in 2007 to proote the creation of original jazz choreography. Marian is the president and co-artistic director of Jazz Choreography Enterprises. The October 2016 presentation of the New York Jazz Choreography Projects is made possible in part by a Dollars for Doers grant from the PwC Charitable Foundation. All of JCE’s programs are made possible in part by support from our corporate sponsor, Salon Ishi.